The ultimate customers for pharma are patients, but how does one engage with them ? This has always been a challenge for many reasons. Pharma does not want to upset doctors by bypassing them; and they have to function under stringent guidelines which regulate direct to consumer ( DTC) marketing. Pharma needs to learn to put patients first – and the best way of doing this is to focus on creating trust rather than building brands. customers . What can they do to ensure that patients do not switch brands ? The good news is that there’s plenty of technology available which pharma can use to connect directly with their patients. Here’s a simple example. Companies can include QR codes which link to their website in their PIL ( patient information leaflets). Patients always have many questions about the side effects of the medicines they have been prescribed, and doctors rarely have the time, energy or inclination to answer these, which is why patients are forced to use Dr Google to find out more about what drugs they are taking. If the pharma company provided this information to the patient directly, this would be a win-win for everyone. Sadly, Pharma still treats patients as objects – and occasionally as subjects (in clinical trials or focus groups), but not as people ! Pharma needs to shift from just marketing drugs , to providing patient-centric services around the illness. It’s no longer enough to just sell more pills – pharma needs to focus on creating better outcomes for patients. 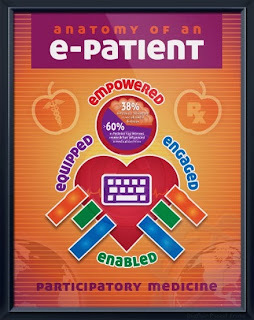 So what do patients need ? and how can pharma help them get this ? Please remember that the customer is not an idiot – she is your wife ! There are many tools which pharma can offer to help patients help themselves. For example, the company could easily add value to the patient’s life by asking them to sign up for a simple online medication reminder service, in which the company would send them smses and emails, to remind them to take their medicines in a timely fashion ! Also, the company could offer to send the patient information on his illness as well. Providing a personal health record ( PHR ) and personalised , proactive Information Therapy can help patients to manage their illness better. Pharma can create loyal patients if they are willing to listen and learn from their patients. In today’s rapidly changing world, patients carry a lot of clout, and pharma needs to respect this. Just like doctors can be KOLs, articulate patients have now become KOLs as well. 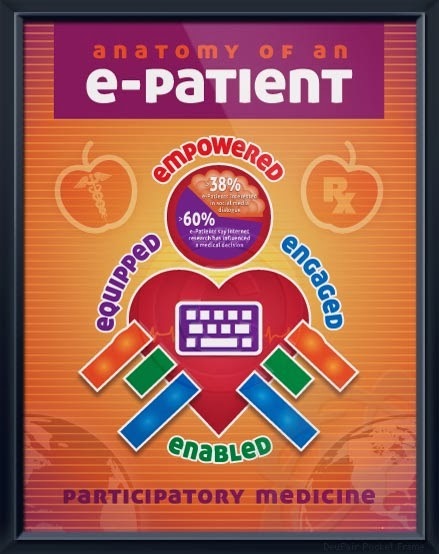 These e-patients ( expert; engaged; and empowered) have a lot of online clout because they blog regularly ; they are independent and opinionated; are active on social media; present at conferences; and are respected and trusted by patients and doctors alike. They can serve as Brand Advocates, if they are convinced that the company truly wants to put patients first. They have a lot of clout – and every pharma company needs to put together a Patient Advisory Board, so they have a finger on the patient’s pulse. Pharma can also develop lots of clever tools to engage with patients directly, They can create mobile apps, to help patients manage their diseases ( for example, diabetes); or develop facebook games to incentivize patients to stop smoking or lose weight). These are many successful pilot projects, which can be scaled up if they are adopted by pharma. One way to test the waters is to partner with the many active health NGOs today , by running pilot projects to see how these evolve. Pharma needs to keep an open mind, and be willing to be responsive and responsible, so they can keep abreast with the changing times.